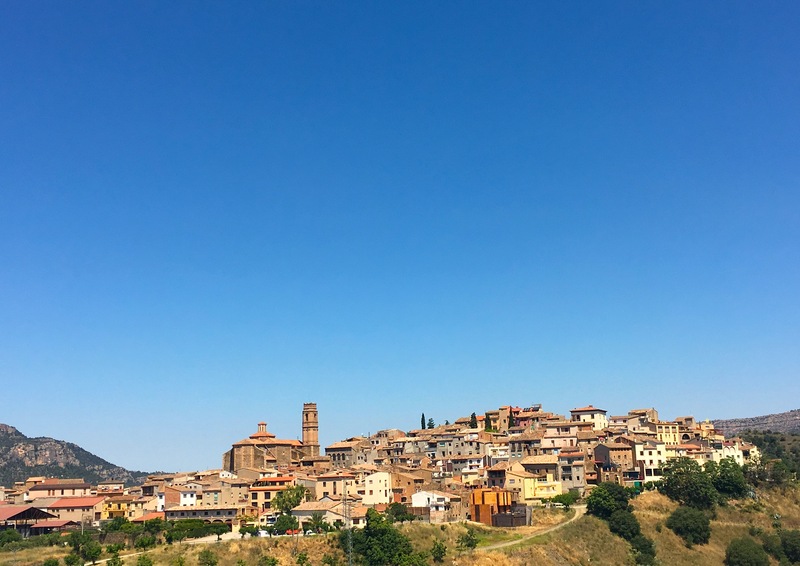 When I think of the most beautiful wine regions I have visited so far, majestic Priorat is among the first to pop into mind. Before this May, life had taken me there four times, but just for a day or two. As the opportunity came to spend several days in Priorat, they didn’t have to ask me twice. I still reminisce about our serene afternoon at Clos Mogador. Our trip was just about a tiny bunch of people, and I loved having Copatinto – the best Finnish connoisseur on Spanish wine – as my travelling companion. Not only due to his vast knowledge on the subject and down-to-earth approach to wine in general, but also because he happens to be stellar company when it comes to delicious on-the-road irony. So I really hope we get to travel together again upon this lifetime! The view from Clos Mogador towards Gratallops. 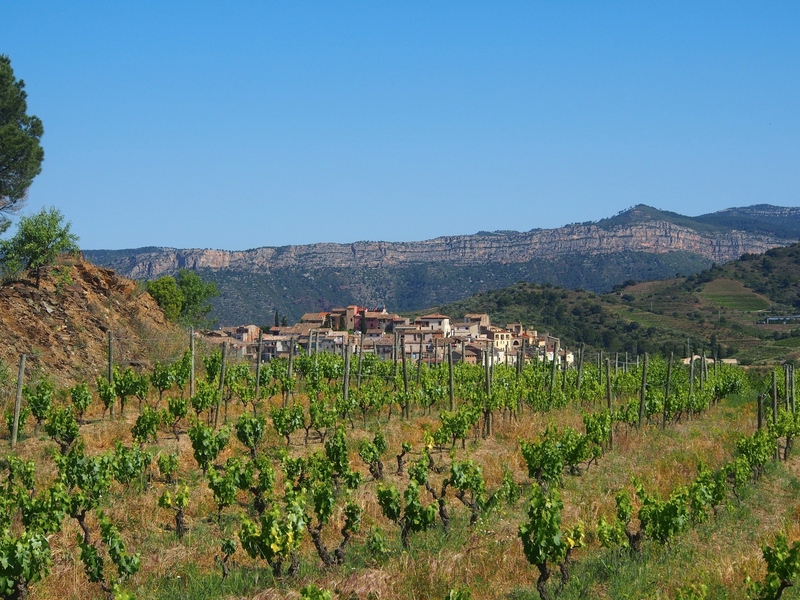 But let’s sway back to that sunny and hot spring day in Gratallops, the capital of high-quality wine in Priorat. With less than 250 inhabitants, it is rather a village than a pulsating capital. Located on a scenic hill 300 metres above the sea level, it is exposed to ruthless sun and strong winds. As we pass Gratallops and the road takes us higher, I can sense excitement filling up our car. Finally the driver stops in front of a wooden gate. What a perfect spot! Amazing 360° views open up around us, flowers are in full bloom and the smell of nature stuns my body. 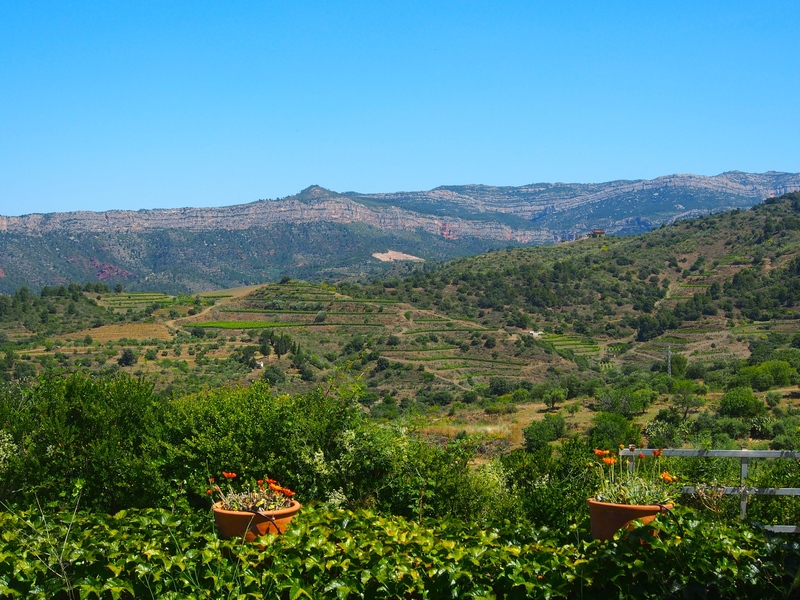 It’s lovely to be in Priorat in May when this hot and arid wine region is still wonderfully green. We enter the gate to a courtyard that is covered with vegetation. And there he stands, René Barbier (the III in the lineage). The man who came to isolated, impoverished, overlooked Priorat around 40 years ago… and like we all know, the rest is history. 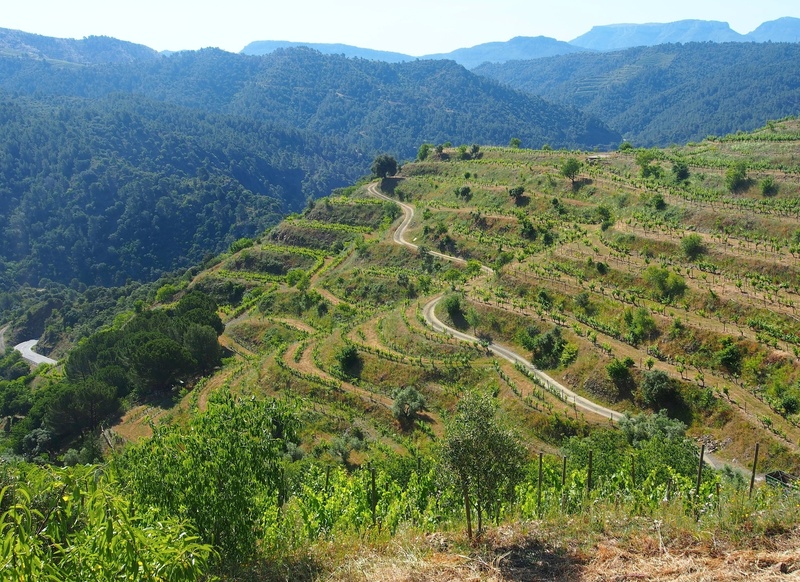 Barbier’s influence – along with other visionary Priorat wineries of Alvaro Palacios, Clos de l’Obac, Mas Martinet and Clos Erasmus – upon the rise and quality of Priorat wines is unquestionable. 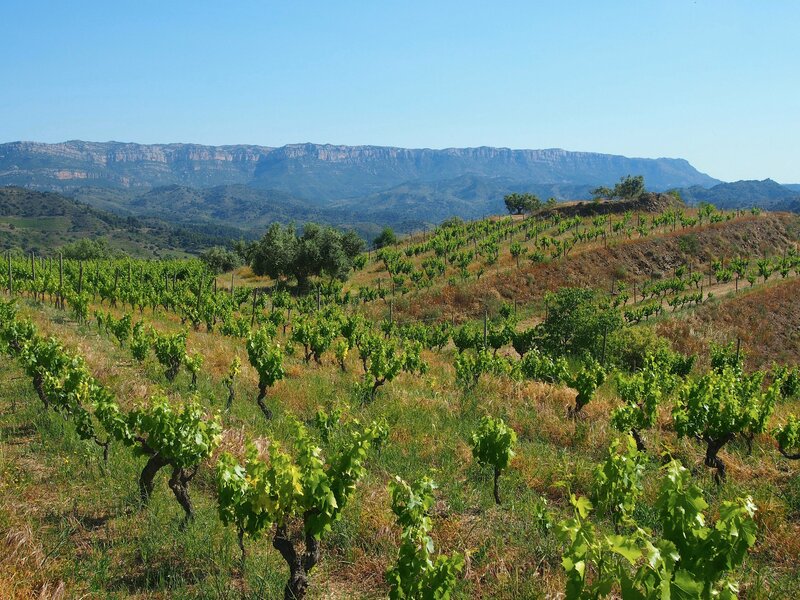 Born in Tarragona into a French winemaking family with centuries-long roots in grape growing, René acquired his first vineyard from Gratallops in 1979. The first vintage, 1989, of his first wine, Clos Mogador, was released in 1991. Upon our arrival one thing becomes instantly clear. 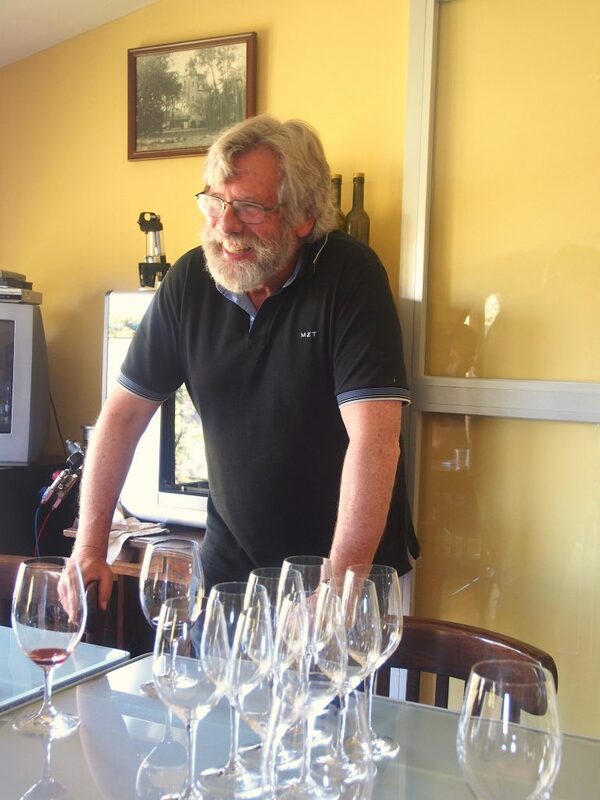 Like his wines (as we soon get to note), René Barbier radiates peace and harmony. Soft-spoken in his conduct, twinkling eyes behind the glasses and laugh lines that intermittently lit up his face. This man is immensely likeable from the very first second. We don’t share a common language, but thanks to my strong Italian, I do understand some words of Catalan. And luckily we have a local tour guide with us to translate most of René’s stories. The legend himself is a man of good energy, warmth and unhurried philosopher habitus. After shaking hands, we all hop into his bright green hippie car that looks like it could be straight from the Ashbury Heights. He drives us around Clos Mogador’s vineyards that are perhaps the most amazing grape growing slopes I have ever seen. The road is so narrow, curvy and full of small rocks that on certain spots just one mistake from the driver could be fatal. “This car is from the late 1970s, when it all began here”, Rene smiles. Unbelievably picturesque landscape surrounds us. Steep, terraced vineyards growing Garnatxa, Carinyena (Carignan), Syrah, Cabernet Sauvignon and Pinot Noir bring Douro Valley into mind. No wonder I lost my heart for Priorat right away in September 2012. These words are accompanied by laughter. In fact, Señor Barbier laughs and smiles a lot. As we sigh over the scenery, he says the best is yet to come. The car climbs higher and higher, and it starts to feel like we are starring in a mountainous hippie caravan movie from the late 1960s. The landscape is something you could easily stare for hours. Beautiful fennel aromas from wild herbs fill the air. René also grows fruit trees and flowers inbetween the vines, “to bring more layers into my wines”, as he says. In the name of biodiversity, also the fauna on Clos Mogador’s plantations is rich (as this map shows). After walking on René’s and Isabelle‘s (his wife who is in charge of Clos Mogador’s marketing, PR and graphic design) fabulous vineyards we continue to their cellar. 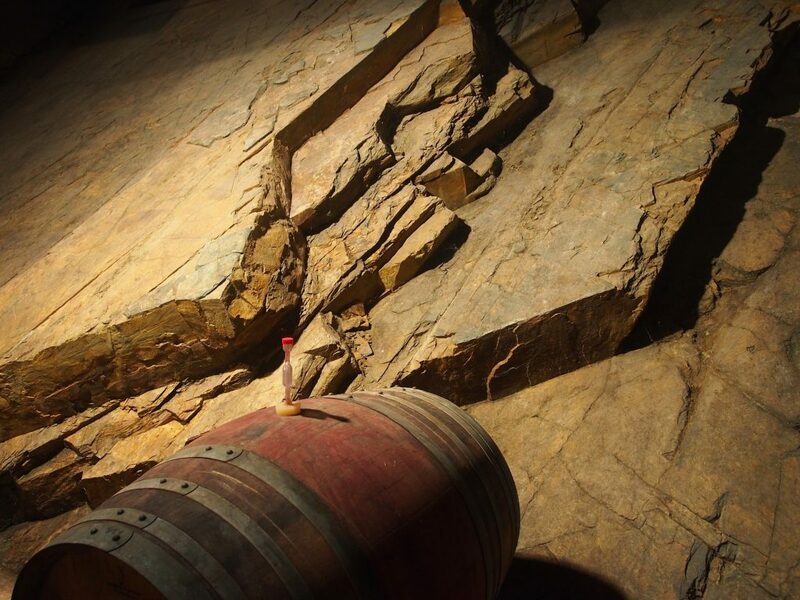 It is very tiny, so Clos Mogador’s wines are stored in the nearby city of Falset. 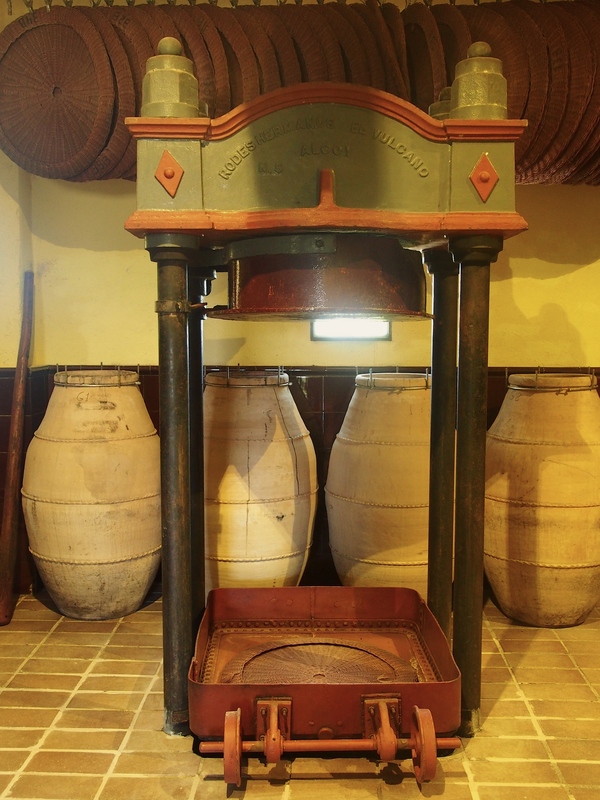 All grapes are pressed with a 100-year old press and vinified in separated fermentation vessels, using wild yeasts. Clos Mogador, like his another red wine Manyetes (100 % Carinyena; the first vintage launched in 2000), are aged in French barriques or foudrès (bigger oak vats). The small cellar room downstairs, in turn, is reserved solely for white wines, which René makes approximately 7,000 bottles annually. 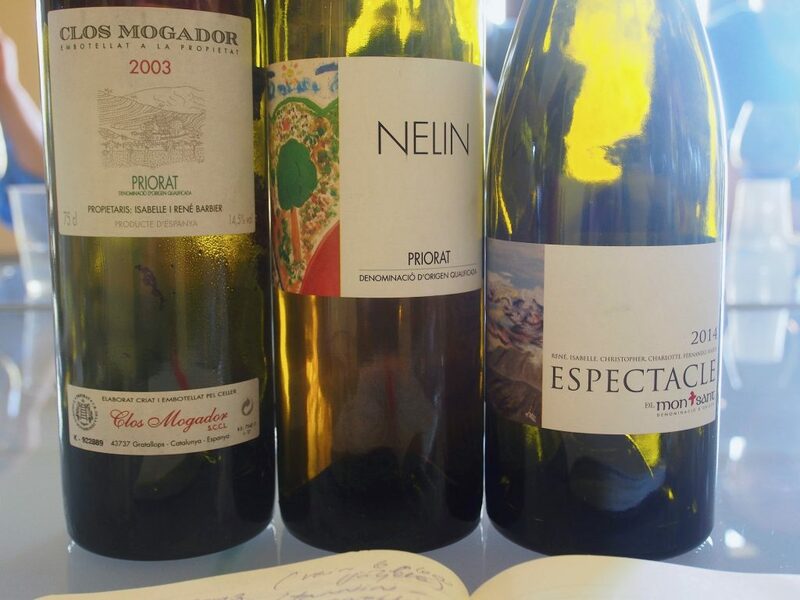 Seeing the daylight in 2000, Nelin is a wine he is really proud of. Schist-based llicorella is the typical soil of Priorat. Despite the language barrier, the atmosphere is wonderfully warm and René seems to be on utterly good mood (or maybe he always is?). Watching him slowly arranging and wiping our tasting glasses is the best possible reminder that life is not about being in a hurry. The serene atmosphere at Clos Mogador still feels one of the most unique wine experiences I’ve ever had. We start with Manyetes 2014, a 100 % Carinyena coming from extremely poor southern-faced soils exposed to burning sun, where according to René “our 80 years old vines truly have to fight for survival”. Dark violet in colour, this wine offers a sophisticated nose of intense dark berries with hints of chilli and other spices. Wonderfully structured and fresh taste continues into a long, lingering finish. Clos Mogador 2014 (49 % Garnatxa, 25 % Carinyena, 16 % Syrah and the rest Cabernet Sauvignon) is equally dark violet in colour, but despite similar charming dark berries (especially cassis) on the nose, its aroma profile is towards floral and graphite tones; in fact so floral that I would call it seducing. Great acid line, superbly smooth yet nicely gripping tannins. A harmonic entity although still young. And white Nelin 2005! Who-ah! Never before have I tasted a Spanish white wine like this. Beautiful light ambra colour and something familiar on the nose reminding me of champagnes from the Aube (a region I deeply love). A wonderfully saline and honeyed taste is also packed with ripe tropical fruit and Bourgogne-like butter and nuts. Seamless, fantastic structure and perfectly controlled oxidation. Mostly made of Garnatxa Blanca (85 %), the rest 15 percent is white grapes (Marsanne, Roussanne, Viognier, Pedro Ximenez, and a completely new grape to me, Escanyevelles) as well as Pinot Noir that is vinified like white grapes. After his Priorat pearls we also taste Barbier’s Espectacle 2014 from the DO Montsant area. Made of grapes from 120 years old vines, this 100 % Garnatxa has an aroma profile of red berries, herbs, spices and a small animal hint on the background. Velvety yet elegant mouthfeel. Like a great wine, it generates a beautiful crescendo towards the end. Suddenly René disappears in the cellar and comes back with a wide smile on his face, Clos Mogador 2003 in hand. There goes a saying that in great hands the wines tend to look like their maker. With Rene Barbiér this is 100 % true. His wines convey a serene, warm, harmonic, nearly ethereal feeling – just like the man behind them. Even though 2003 was a superhot vintage, the wine feels so feather-light and smooth in texture that for a while I almost question whether we are tasting a red. Contrary to those unfortunately common and often empty marketing speeches about using “only the best, carefully selected grapes”, in René Barbier’s wines you can truly taste healthy grapes. As the tasting proceeds, I start to speak a bit of French with René (since I hate it when you don’t share a language with the winemaker). When we are about to leave, I kindly ask him whether he would sell me one bottle as a souvenir. Barbier smiles and vanishes to the cellar again. He returns with a bottle of Clos Mogador 2014 and refuses to charge me anything. A perfect visit ends in the most perfect way. Gratallops bathing in afternoon sun. Utter devotion to wine shines in everything René and his family make. 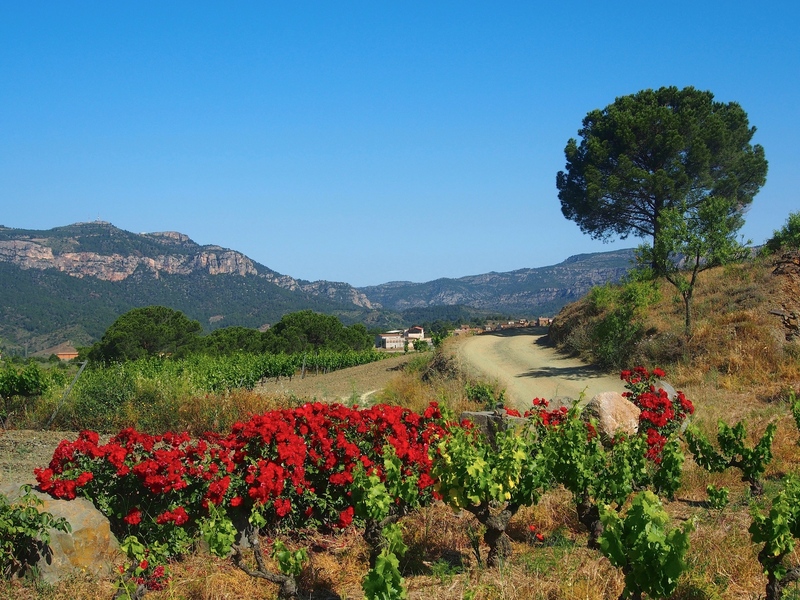 And that passion, combined with breathtaking landscapes of Gratallops, makes me want to return to Clos Mogador as soon as I’m fluent in French (probably never) or bearable in Catalan (even more improbable). To be honest; I don’t feel like waiting that long. My biggest thank yous go to ICEX (The Spanish Institute on Foreign Trade) who organised us an excellent wine trip covering also some other top wineries in Priorat (of whom I plan to write later). 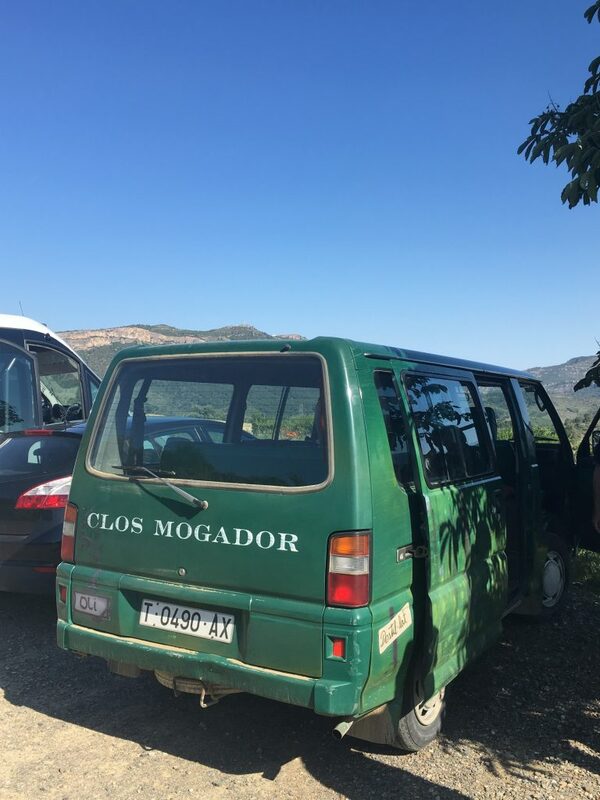 How long will you wait for opening that marvellous Clos Mogador 2014 ? Maybe until 2023 ? Haven’t decided yet. But I can invite you over when it’s about time!